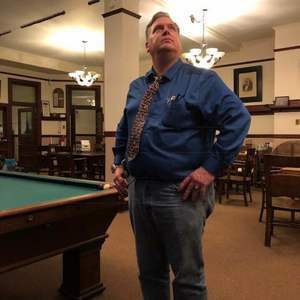 Steve Dunkelberger has been a working journalist for more than 20 years at various publications around Washington's Puget Sound region after receiving his journalism training at Western Washington University, where he also received a BA in Journalism and a minor in History. He started his journalism career locally by working a stint as a reporter and then editor of the Lakewood Journal. He was then the editor of the Business Examiner newspaper. He then was a news writer/ online editor at Pierce County Community Newspaper Group, which is a locally owned group of newspapers that includes the Tacoma Weekly, the Fife Free Press, the Milton-Edgewood Signal, University Place Press and the Puyallup Tribal News. He is now the Community Engagement Coordinator at Emergency Food Network. He also does freelance writing and photography projects for websites in Pierce County. He is also a judge for the Society of Professional Journalists national Sigma Delta Chi Journalism Awards as well as has been a lecturer on issues facing journalists. He is also a member of the Knights of the Pythias and several ukulele groups. He has written two history books on the city of Lakewood and is working on one about McNeil Island as well as had several of his historical articles published on Historylink.org and in Columbia magazine. Steve Dunkelberger has been a guest on 4 episodes. Steve Dunkelberger tells the guys about The Maury Island Incident. One of the first UFO and Men in Black experiences in the US.